Survey on current mobile apps specifically considering the user engagement, concluded with the surprising results. Users only use 25% apps once after installing and then uninstall due to some valid reasons. Hence, this analysis indicates that many apps are suffering from the lack of re-engagement strategies. Mobile Applications are at a first place to optimize any business. With a gentle push, apps can be the platform through which your business can lift up smoothly. If you ignore the importance of app & don’t focus on the strategies to make them up to date, you may lose cream clients or customers. Masterminds have defined some core strategies for increasing the mobile app engagement. The below-outlined strategies have the power to drive ultimate user engagement if executed properly. First impression is the last impression! When someone installs your app for the first time, he/she will definitely open it again after experiencing your services at once. But, when you fail to deliver them flawlessly on the landing then you will definitely lose your users drastically. Just the Increased number of app downloads do not bring a good business for you, but the continuous user engagement does. A combination of unique business idea, smart coding, eye-Catchy User Interface and flawless navigation is absolutely a key to success. Reaching out the clients’ desire with few steps is an ideal strategy to hold the client for a long time. A navigation flaw, hyperlinks, menus, page linking, etc. elements are must be done properly. It must not contain any confusing part from start to end. It is obvious that users will download your app if they are impressed with the latest mobile app features or your marketing approach to convince them. Hence, Don’t break their trust. The app must deliver all the services and include all the features mentioned during the promotion. Competition is a good thing! It enforces the professionals to deliver the best. The same strategy is applicable to the mobile apps as well. To hold the users for a long time, you must serve them beyond their expectations. Deliver the best value through your mobile apps and stand out of the competition. 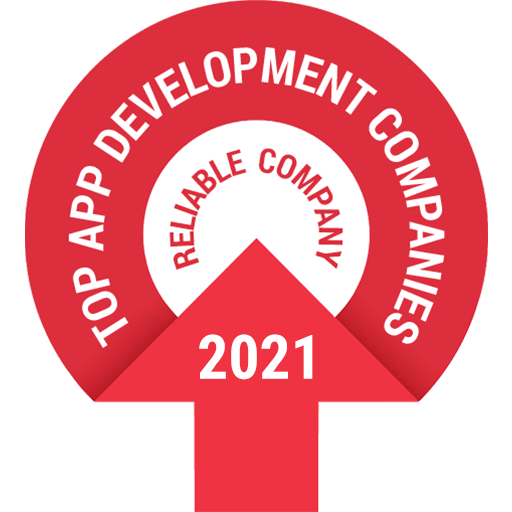 Ever changing app market has taught to stay updated as per the most recent app development trends. Deliver over values more than necessary! Stay in touch with the clients by sending push notifications is really a good thing. But, push notifications have a worst impression on each user’s mind. General push notifications sent to the users on the daily basis, of course, irritate them. Hence, the concern professionals have to take care of not sending annoying notifications. Instead, send customized push notifications for the specific group of customers according to their pattern of interacting with the app. Forward the messages segment wise on a basis of age, location, gender, etc. It’s noticed that people uninstall some apps because they don’t find it that much good to spend a good time or due to lacking of services. Specifically, to increase the mobile app engagement, the game applications must be addictive. If users find it boring, then at a time they may uninstall the app. Entertainment apps are supposed to spread fun and happiness. Developers can add interesting elements to catch players for a long time. The way of developing addictive apps is dependent on the app category. For ex., People would stick to the M-commerce app if they find brand new products with reasonable rates and the transaction process is really smooth. People will feel hesitated to browse through the complex and messy apps. Hence, a thumb rule is to make it simple always. Obviously, your app must include the stuff that makes a sense for any user. If there are too many modules included in the apps, then provide them a quick guide for going through it. Take them on a quick tour to explain them how to utilize the services offered by a specific app. Stay connected with the users through social media sites. Nowadays a quick technique to reach the users is being active on the social networking site. Frequently posting let the clients stay connected with the users without disturbing them directly and as a result, improve the mobile app engagement. Above are all tactics that you must try to boost up the user engagement. User engagement basically relies on the way you deliver the information. Every day, developers give a birth to the thousands of apps. But, the extra-ordinary and the flawless apps are always used by users. Hence, it is not tough to launch an engaging app with a genuine effort. The key to success is, deliver the users what they want actually or more than their expectations.